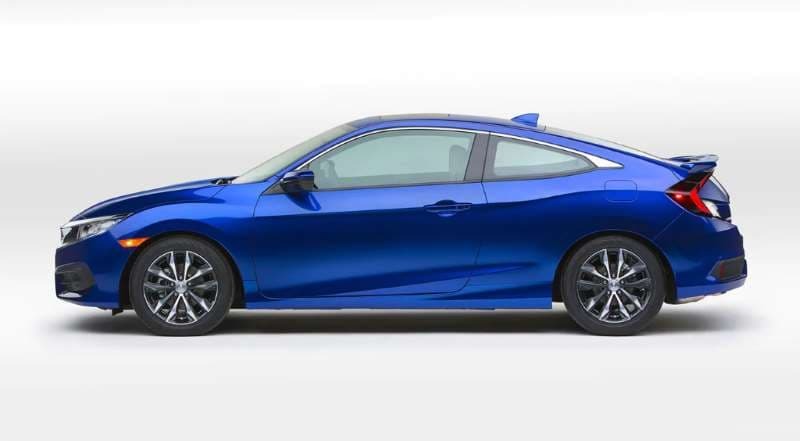 Learn how to set the clock on the factory stereo in the Honda Civic coupe and sedan using these steps. Press and hold the “MENU/CLOCK” button. Rotate the selector knob to choose the hour. Press the knob in to toggle to the minutes setting. Select the minutes. Select “Set” when you’re done. Note: Some touch screen models set the clock automatically. From the “Home” screen, go to “Settings” > “Clock” > “Clock Adjustment“. Adjust the hour and minute values. Select “OK” when you’re done. Turn the ignition to “ON“. Press the clock stem button, located on the instrument panel to the upper-left above the steering wheel. Turn the stem to toggle the hours. Press the stem to toggle to setting minutes. Turn the stem to set the minutes. Press the stem when you’re done, and the clock is set. Press and hold the “Clock” button until the time starts to blink. Use the “Preset 1” button to change the hour. Use the “Preset 2” button to change the minutes. The clock should be flashing. Change the hours by pressing “Preset 4“. Change the minutes by pressing “Preset 5“. On some models, you may have to use “Preset 5” and “Preset 6” to make the time go up or down. Press and hold the “Clock“, “SCAN/RPT and “AUX“, or “Sound” button to set the set time.